48% of construction professionals feel that corruption is commonplace within the UK construction industry according to a survey by the Chartered Institute of Building (CIOB). Respondents suggest that cultural practices and economic conditions are the main reasons for the prevalence of corruption, noting squeezed tender margins and reduced workloads have pressurised some professions into corrupt practices as a means to survive. The survey, of 700 construction professionals, aimed to investigate whether corruption is perceived to be a problem within the UK construction industry, what practices are deemed to be corrupt, and which parts of the construction process may be susceptible to corruption. The report highlights some depressing trends. More than one in three (35%) said they had been offered a bribe or incentive on at least one occasion. And over a third (38%) had come across cartel activity in the UK construction industry on at least one occasion. Of those, 29% have witnessed it over the last 12 months. Nearly half of the respondents were unaware whether their firm had a whistle-blowing policy, and only 7% said that they had used it, reporting varying degrees of success. More than half of the respondents (54%) were unable to estimate the annual cost of fraud or corruption to their organisation, this is despite 45% of the sample describing themselves of senior management or director level. Nearly 10% also indicate annual losses totalling £1 million or more as a result of fraud and corruption. The research indicates, as it did in 2006, that the UK construction industry and UK Government are not doing enough to tackle corruption. The CIOB suggests that measures aimed at tackling corruption, such as the Bribery Act, appear to have had a limited effect; with no prosecutions against businesses taking place. “If the UK is going to live up to its rhetoric of being tough on corruption, both the Government and industry must do more to show proof of progress” said Brown. The European Commission estimates the economic costs incurred by corruption in the EU amount to EUR 120 billion per year, representing around 1% of total EU GDP. Globally, the economic cost of corruption is estimated to be around US $2.6 trillion, more than 5% of total global GDP. A full copy of the results can be found at: – ciob.org/research. 45% of respondents were senior managers or directors. 42% worked in large companies with more than 500 employees. 49% of respondents believe corruption is common (that is extremely common or fairly common) within the UK construction industry; a small, 2% decrease from the first survey published in 2006. Cultural (27%) and economic (23%) are cited as the main reasons for corruption being either fairly or extremely common in the construction industry. Cover pricing is seen to not be corrupt by 20% of respondents. Although, predominantly other adverse practices linked to the construction industry are seen to be corrupt (e.g. billing for unperformed work, collusion and cartel activity). 67% indicate that the use of gifts and corporate hospitality can be treated as bribery. Our research indicates a great deal of confusion around this, particularly in the context of the Bribery Act 2010. 43% suggest that all the stages of the ‘construction process’ are susceptible to corruption. 35% specify that the pre-qualification and tendering phase is the most at risk. 54% of respondents are unable to estimate the annual cost of fraud to their organisation. Over a third of respondents state that they have encountered cartel activity in the UK construction industry. Of those, 33% said it was over 6 years ago and 29% said it was in the last 12 months. 35% of respondents have been offered a bribe or incentive on at least one occasion. 40% do not know if their company has a whistle-blowing policy. 54% indicated that they are aware and only 7% said that they have used it. 37% are not aware if their company has training or procedures in place to prevent bribery and corruption. Respondents acknowledge that the UK construction industry (50%) and the UK Government (55%) are not doing enough to prevent and tackle corruption. We are the world’s largest and most influential professional body for construction management and leadership. We have a Royal Charter to promote the science and practice of building and construction for the benefit of society, and we’ve been doing that since 1834. Our members work worldwide in the development, conservation and improvement of the built environment. We accredit university degrees, educational courses and training. Our professional and vocational qualifications are a mark of the highest levels of competence and professionalism, providing assurance to clients and other professionals procuring built assets. Further information is available by contacting Saul Townsend on stownsend@ciob.org.uk or +44 (0) 1344 630 766. *To unsubscribe from the CIOB’s press distribution service please reply to this email with the word ‘REMOVE’ in the subject field. Or contact the press office directly on t: +44 (0) 1344 630 766. I started keeping my diary for the APC -Building Surveying route at the start of the year whilst I was working for a consultancy company who specialised in social housing. At the consultancy company there was a lot of help regarding the APC which included having a mentor and supervisor. After my contract finished with the consultancy company I managed to find a role as a project manager for the Liverpool School of Tropical Medicine. I would like to carry on with my APC but there is no one within this organisation within a similar role or with similar experience of the APC. I have been at LSTM for 4 months now and have put all my focus into settling in and making a good impression but now I feel I should have a good go at starting the APC again. We work closely with a consultancy company who have offered to help me through the APC but I was wondering if this is ok with my supervisor etc being from another company? I am also concerned that I will not be able to reach the level of competencies whilst undertaking a multi-million pound refurbishment project. I have started leaning towards the project management side rather than building surveying and was wondering if anyone could suggest paths to go down to better my qualifications if the APC route is out of the question whilst being in this role. Any help or advice will be greatly received! 1. Change of firm: OK, just make sure your new employer will commit to getting an APC Training Agreement set up. This basically confirms their agreement to support you. 2. Supervisor needs to be provided by your employer. They need not be chartered but do need to be able to confirm the work you are doing day to day. I suggest this would be your line manager. I would not suggest this role is done by an external individual who does not know the detail regarding your day to day work. 3. External consultancy offering to help sounds great and as long as they are chartered they can act as your counsellor and work with your supervisor to evaluate the experience you are gaining. I would also challenge you to consider that the counsellor needs to be from your pathway as your supervisor may not be and is not chartered. 4. Changing roles / pathway. If you are currently following the BS pathway but doing predominantly project management this is going to cause you a problem within BS if you cannot cover the competencies. Why not consider Project Management or Facilities Management pathways as a thought? Careful consideration needs to be exercised here and make sure you discuss this closely with your supervisor and counsellor. Ultimately the route you decide to follow needs to be based upon what you want to do in the future and maybe if Building Surveying is what you want to do then short term, in your current employment, you may not achieve the depth and breadth of competency immediately. Question of the Week: Can I change pathway and keep my experience route (Graduate 3). I understand that all Construction and Property experience is considered. Is this correct? Can I change pathway and keep my experience route (Graduate 3). I understand that all Construction and Property experience is considered. Is this correct? The answer is never an easy one as it probably would need a discussion with you about the specific detail regarding your situation. 2. Any change in your situation needs to be discussed / communicated with RICS Membership Operations so that they have up to date records of what you are doing. 3. The assessment panel will only discuss / challenge you against your declared competencies, so it would be how you write up the competency achievement to include (or not) the range of relevant experience against the new competencies. That’s my starter for ten… I suggest you discuss this with your employer / sponsor and maybe your local RICS Training Advisor to establish the detail of this move if you choose to make it. 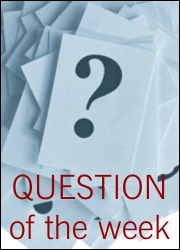 Question of the Week: Can I be referred on a competency I passed last time? Hi If you are referred and there is only one area / competency that caused the referral – can you in the next assessment be failed / referred for failing another competency that in fact you passed at the first assessment ? Each time you attend the APC Final Assessment you WILL be tested across all of your declared competencies and the Assessors are challenged to pick up your referral items (noted in your referral report) specifically, during the assessment.